Swiss duo Waysons have only been producing together since 2014, but apparently they’ve already made a name for themselves as producers with the talent and drive needed to make it to the top. 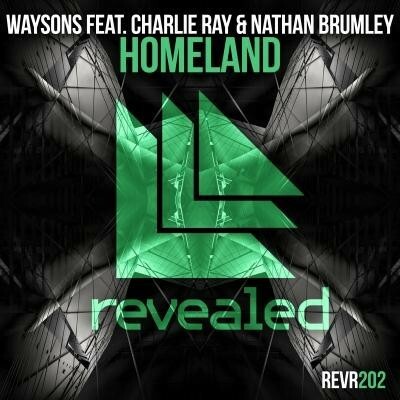 Now they take another step in their journey as they join the Revealed roster with their latest production ‘Homeland’, a track that features the vocal and songwriting talents of Nathan Brumley and Charlie Ray. ‘Homeland’ is an example of the duo’s talent when it comes to both songwriting and production. There’s plenty percussion, energy, and some possible hands-in-the-air synth work. Yet the track never feels overstated, with the vocal efforts and harmonies of Nathan and Charlie providing passion and soul without coming across as overpowering. It makes for a decent recipe that possibly lends the track to some serious club play, while still retaining the ability to sound decent on your headphones at home.